Sophia blew up my blog! All this changed last Friday. When our granddaughter was born last week under extreme circumstances, readership exploded. Seriously, I’ve had more hits the last 4 days than I’ve had in the past several weeks (maybe months) combined! All thanks to Sophia. So I think I’ll just hand this spot over to her. I’ll just post pictures of her and tell stories about her. Seriously, she is getting better. Yesterday was good: she had gained 1 ounce (yes, you celebrate one ounce when it is more than 1/64 of her total body weight). She is holding down most of the milk that is being fed to her thought a tube – about 5 CCs per feeding. Her jaundice numbers have improved. I cannot express how thankful we are to everyone who is praying for baby Sophia. Please continue! She has a very long way to go. 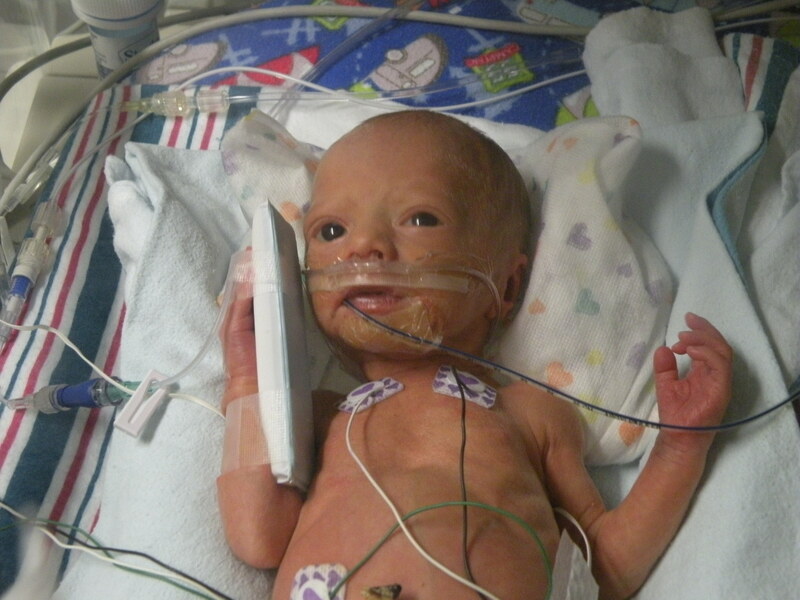 The doctors are saying she could remain in NICU for up to 4 weeks more, possibly longer. I’m glad to tell you that Jessica continues to improve. She is gaining strength and is providing all the care for Sophia that she can. We are very proud of Jess and Josh – they are doing a great job! So, lesson learned. If I want people to actually read what I write, the topic has to be Sophia Kate Hanson! Praise the Lord. My wife and I were just talking about how a miracle this was and how God plans everything accordingly. Praise the Lord for his Mercy, Grace and knowledge. We are all in His Hands. God bless you guys. What a beautiful baby!! We are very excited to see pictures of Sophia and will be checking back to your blog for further updates. God is amazing, we give Him thanks for the miracle of Sophia’s birth. Praise the Lord.